Goa Carbon has reported results for the second quarter ended September 30, 2011. The company’s net profit after tax for the quarter under review rose by 46.40% at Rs 4.07 crore as compared to Rs 2.78 crore for the quarter ended September 30, 2010. Its total income has increased by 118.20% to Rs 130.79 crore for the quarter under review from Rs 59.94 crore for the similar quarter of the previous year. 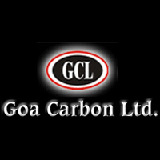 Goa Carbon is engaged in manufacturing and marketing Calcined Petroleum Coke.